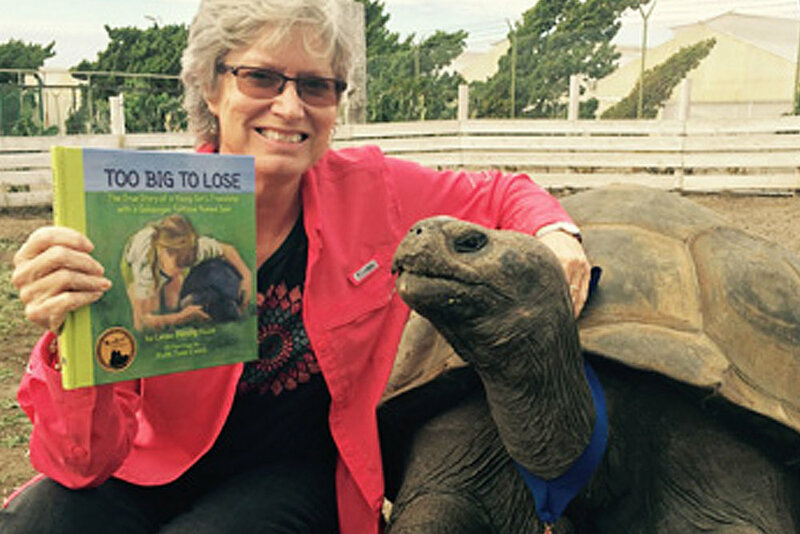 Leslie Duval, children’s book author and publisher, will present her book Too Big to Lose: The True Story of a Young Girl’s Friendship with a Galapagos Tortoise named Sam. It is a touching story about Sam, a Galapagos tortoise who currently resides at the San Diego Botanic Garden, and is earning his keep as a therapy animal. Listen to the fascinating story of Sam's charmed life and how the SDTTS played a BIG part in their serendipitous reunion after 40 years! Come meet the author and her husband, Julian (CEO of the San Diego Botanic Garden) who will talk about the new Conservatory being built which will open later this summer. Personalized copies of the book will be available for purchase price of a personalized copy is $20 which includes tax. Proceeds benefit the SD Botanic Garden to help care for Sam who might live another 100 years!